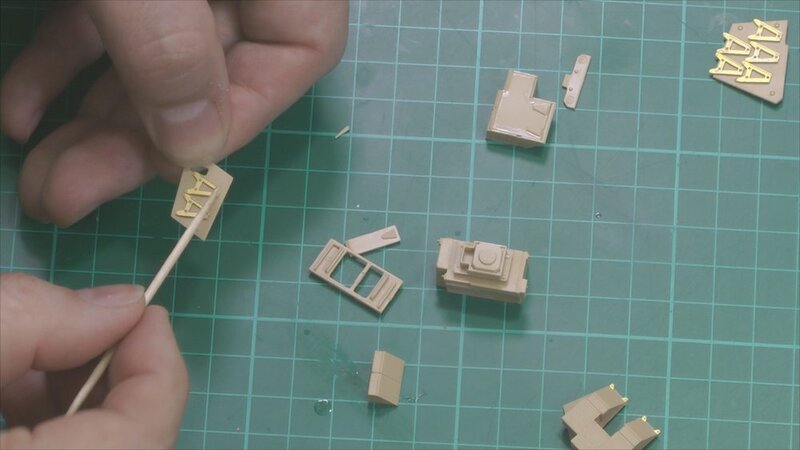 In part one we look at the build ahead and start work on the wheels and suspension. In Part Two we work on the tracks and then work on the upper turret. In part Three we finish off the turret and then move it all over to the paint booth and get the primer on. In Part Four we start work on the sand color for the wheels and the work on the tracks and weather them in. 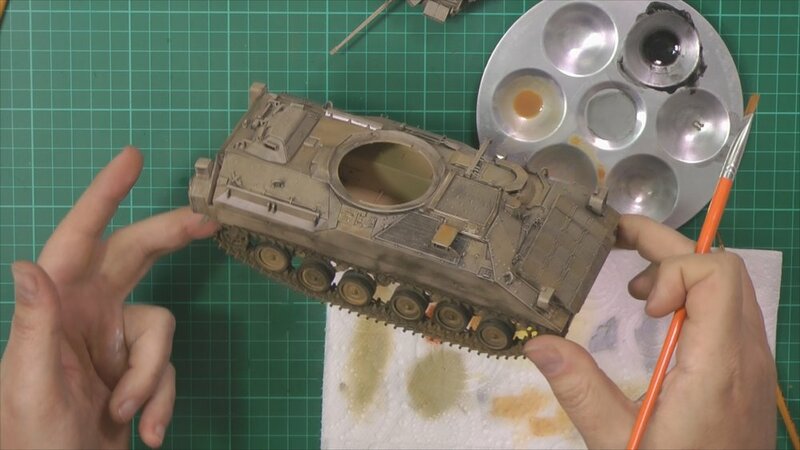 In part Five we start work on the weathering with the pigments. 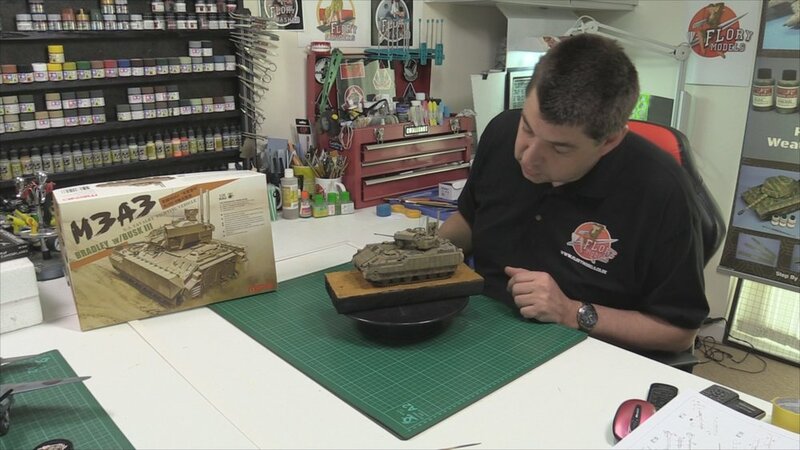 In part six we continue with the weathering this time using washes. In part Seven we work with neat oils to blend colour and more washes. In part Eight we start to bring it all together adding final weathering the glass etc. In the final part, we finish off with a pigment scrub and add the last details for the final reveal.